UPDATE: Hearing as of 8:13 p.m. EST on Sep. 4 that the young boy has passed away. Thoughts and prayers with the Kowal family. The infant son of professional mixed martial artist Marcus Kowal is in critical condition after being struck by a drunk driver yesterday afternoon. 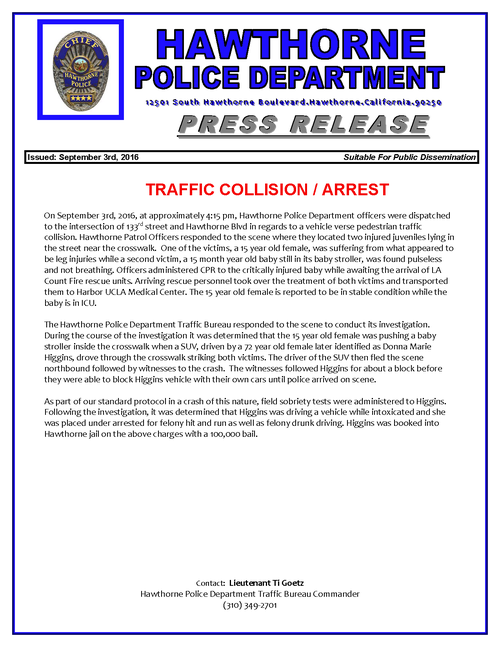 “On September 3rd, 2016 at approximately 4:15 pm, Hawthorne Police Department officers were dispatch to the instersection of 133rd street and Hawthorne Blvd in regards to a vehicle verse pedestrian traffic collision. 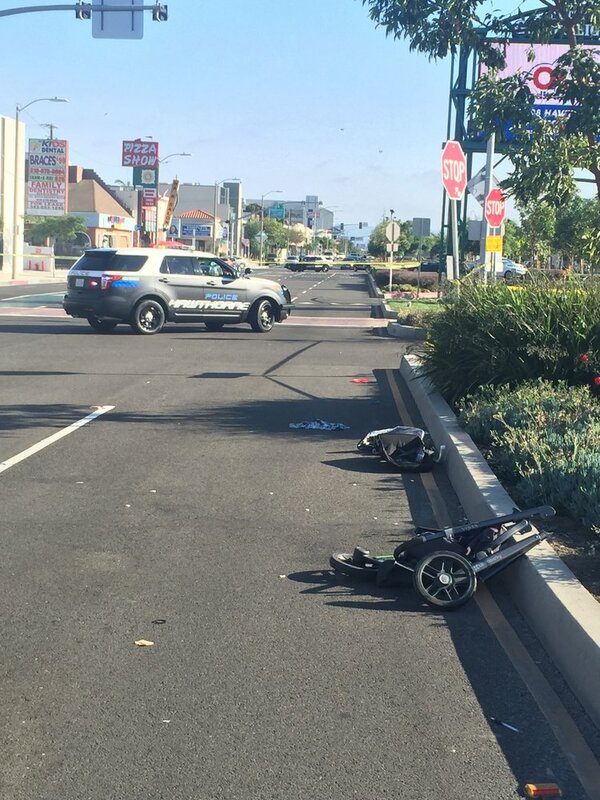 Hawthorne Patrol Officers responded to the scene where they located two injured juveniles lying in the street near the crosswalk. 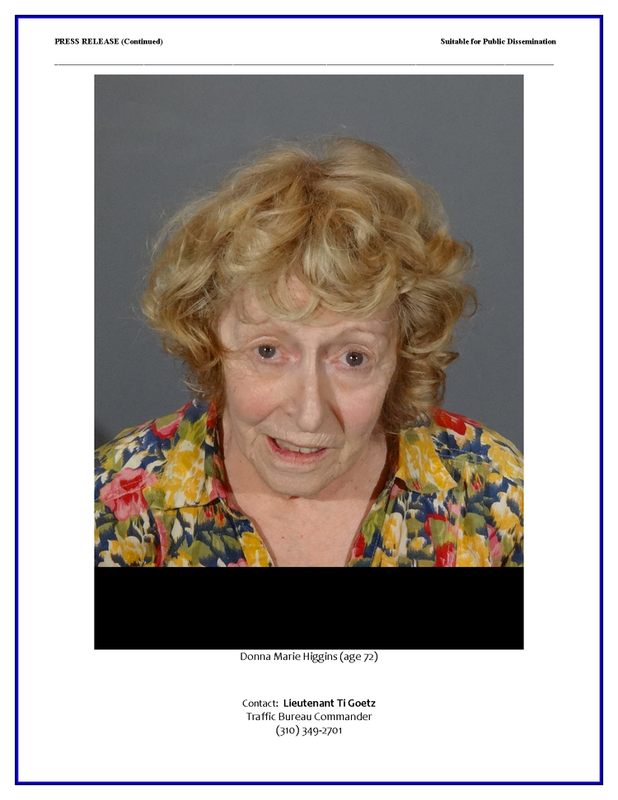 One of the victims, a 15 year old female, was suffering from what appeared to be leg injuries while a second victim, a 15 month old baby still in its baby stroller, was found pulseless and not breathing. Officers administered CPR to the critically injured baby while awaiting the arrival of LA Count Fire rescue units. Arriving rescue personnel took over the treatment of both victims and transported them to Harbor UCLA Medical Center. The 15 year old female is reported to be in stable condition while the baby is in ICU. Kowal (3-1-1) in MMA serves as the Lead MMA Training Instructor and Owner of Systems Training Center as well as the CEO and Co-Founder of Fitnesscenter.com. In addition, he is the Host and MMA specialist for StudioMMA and MMANytt.